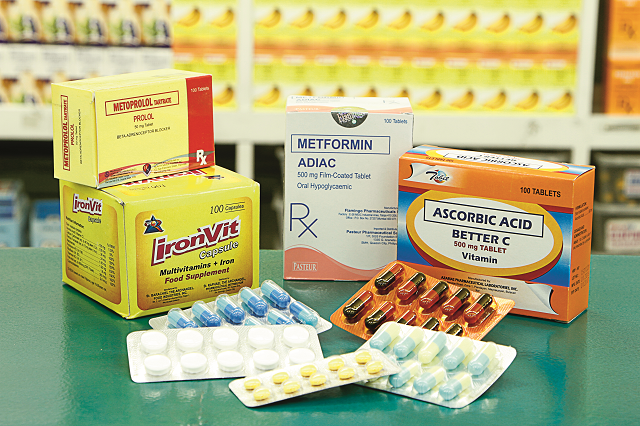 St. Francis Generic Drug came as a response to Filipinos' growing demand for affordable medicine. If the name St. Francis Group of Companies sounds familiar, it would not be much of a surprise. After all, it is the same company behind the St. Francis Square, a commercial center in Ortigas, as well as high-rise residences such as the BSA Towers, also in Ortigas. So what is a real estate company doing in the drugstore business? Sarah Roxas-Wage, franchise manager and vice president of the St. Francis Group, said that it was just a matter of course. Since the company started in 1980, St. Francis has diversified, with businesses like the Caliraya Resort Club, the Makati Hope Christian School, the Makati Hope Language Center, and the St. Francis Bookstore. 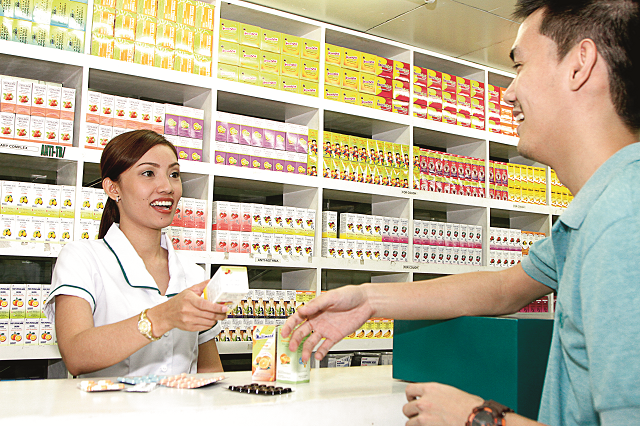 When St. Francis Generic Drug opened in 2006, Roxas-Wage said profit topped targets, thanks to its one-stop-shop convenience and drug store concept that included grocery items, branded and generic drugs, as well as galenicals, drugs that are made from herbal components. Franchise packages start at P600,000 ($12,597.41) for a 15-square-meter space, including the P120,000 ($2,518.41) franchise fee. The company has waived royalty fees, but requires 1% of the franchisee’s gross sales be allotted to advertising and promotions. Put together, all these allow for an “affordable investment [to] help [you get] a faster payback period,” said Roxas-Wage. The company prefers outlets located in a residential or commercial area with high foot traffic, preferably beside other leading drugstores, near hospitals, clinics, supermarkets or public markets, or inside malls. The outlet should also have at least a 15-square-meter floor area, a full-time pharmacist, and a sink, noted Roxas-Wage. 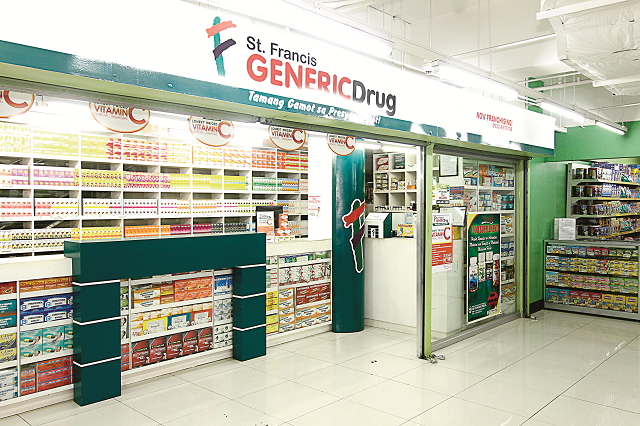 With 39 branches nationwide, 36 of which are franchised, St. Francis Generic Drug still has a lot of catching up to do against other generic medicine retail franchises. Still, Roxas-Wage remains unfazed, noting the value the brand offers to both the consumers and its potential franchisees.